The competition among the international auto markets is rising very highly because of the development of some ultimately innovative models not only for the big cars but also for the smaller ones as well. The fuel efficiency and gas mileage is nowadays chief concern of the automakers and the latest models coming in the different areas of world are coming with a good fuel economy and fantastic performance. Here in this article some of those astonishing articles have been discussed which have got an excellent fuel economy and get more than 40Mpg. The Mercedes have always been linked with the power and performance and C class is claimed to be the best luxurious class from this brand which also brings better fuel efficiency and mileage. 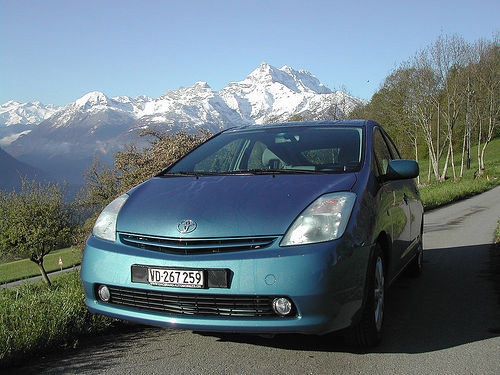 This car is claimed to be the Blue Efficiency prime edition model that is powered by a four cylinder engine with a 2.2 liters of displacement. The C 250 can get 45 miles from a gallon of diesel and the speed of 155 mph is really awe-inspiring. This car also gives very fantastic plus luxurious interiors and the exteriors are also beautified with the sleek and stylish body. Toyota Prius has always been mentioned in the list of high performing cars and the new 2010 hybrid version of this car is the real record braking one that can give the amazing fuel efficiency and brilliant power and speed. According to some estimate this car has got the status of best selling hybrid car of United States and apart from that the fame is hitting almost every big auto market. While the MPG ratings of this model vary from year to year but Toyota is proud to present the latest 2010 model that is rate around 50 Mpg. The optional solar panel on the roof makes it more environment friendly model coming from the platform of Toyota. The latest Honda Civic hybrid is the is the continued version of the Honda Civic sedan, the Honda civic has always received variations in its upcoming model but this new model is reported to be the best one. Just after the release of Toyota Prius hybrid, the hybrid version of Honda civic was brought in front of the whole world that brings perfect fuel efficiency with it but for the power it is a bit low than Prius. The Honda Civic hybrid gives 40 mpg in city and 45 mpg on the highway. The styling is also very good and with that the interiors are also fine plus roomy. This amazing super mini by Ford has proved all those people wrong those think that fuel efficiency and better mileage can be only achieved by the large cars. 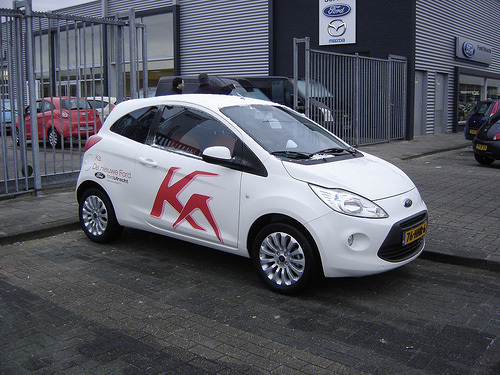 This is actually the city car produced by Ford that was marketed in Europe and the new Kinetic design philosophy of company was greatly appreciated by the auto markets experts. This car should be better labeled as an econobox. The fuel economy is quite nice and it gives the perfection up to 45mpg. 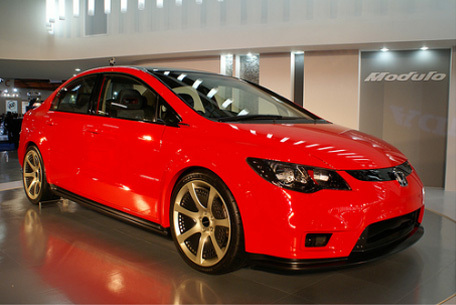 The dramatic styling combines both bold contrast and bright colors that touches the hearts of every city car lover. When it comes to the fuel efficient and well performing cars then Volkswagen is the company that never lefts behind and brings some really out-class models that receives huge appreciation from the customers. The latest model of VWs polo comes with some amazing new technologies and with that the enhancements of older stuff has also been made. The latest 1.4 liter 3 cylinder engine accomplishes good technology and this super mini is the VW’s first model to get the BlueMotion treatments that delivers ultimate power and class in its performance. It gives very impressive fuel economy and that can be seen from the fact that VW claims it to be around 60 mpg. These were the 5 models coming from different big automakers of the world which are not only coming with great styling but also fuel efficiency and quite well power. The hybrid models discussed here all have got too much praise from the customers and the market sale rate of them is also quite well.